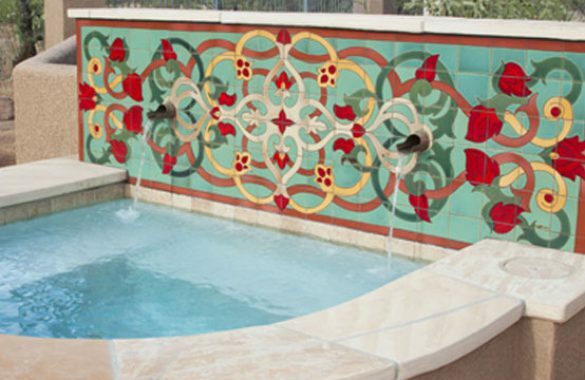 Custom tile design is our specialty. We work closely with our clients to come up with designs specifically for their needs. 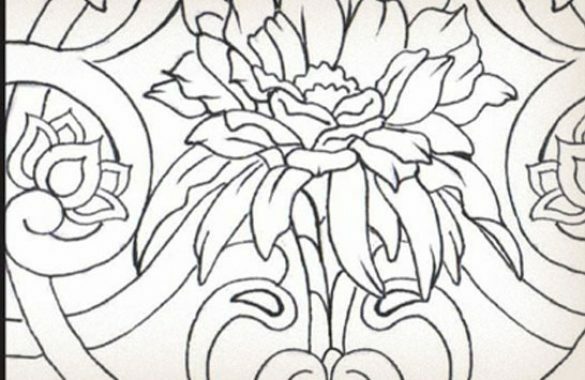 Choose from our existing stock designs and colors or let Carly design something custom for your project. 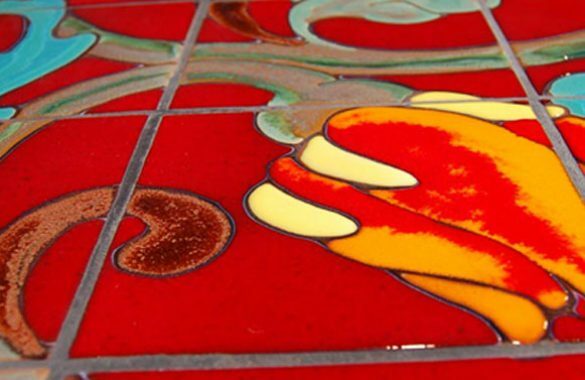 *Custom designs require a $500 minimum tile order and a $200 minimum design fee. Carly Quinn Designs retains the rights to all custom design work. 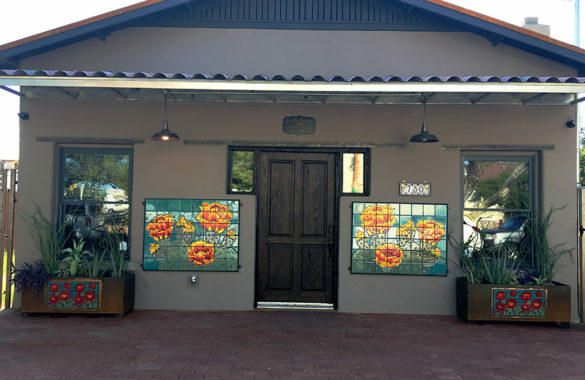 Initial meeting is set up at our studio in downtown Tucson or at the installation site. We will figure out the basics of your installation needs such as size, color palette, imagery and time frames. Once a theme and size is determined we will send a number of sketches to the client for review. Sketches are rendered in pencil by hand and do not include color. We will send out a variety of sketches and revisions until the design is finalized and accepted by the client. At this point if a color scheme was not previously discussed, the client can pick colors from our palette in our shop. 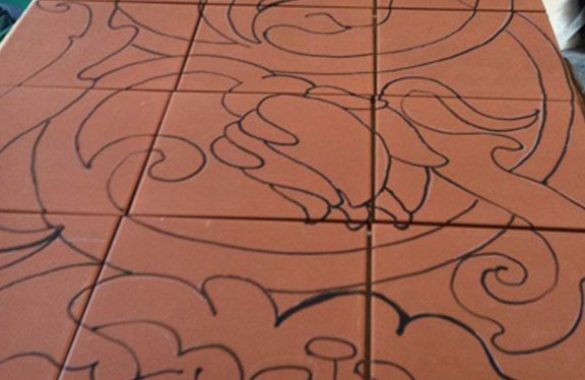 The outline of the approved sketch is then hand drawn onto a blank pre-fired red tile base using the “Cuerda Seca” technique. 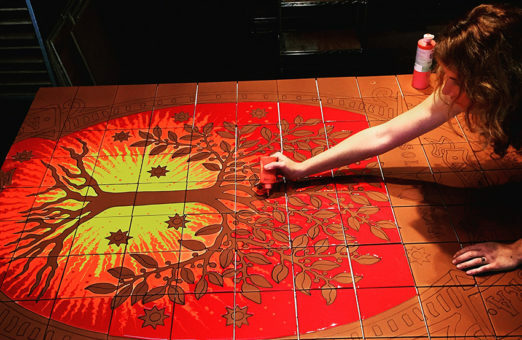 With this technique the outline is drawn on with wax and allowed to cure onto the tile base. This outline will serve as a barrier to keep glazes separate when the mural is ready to be painted. 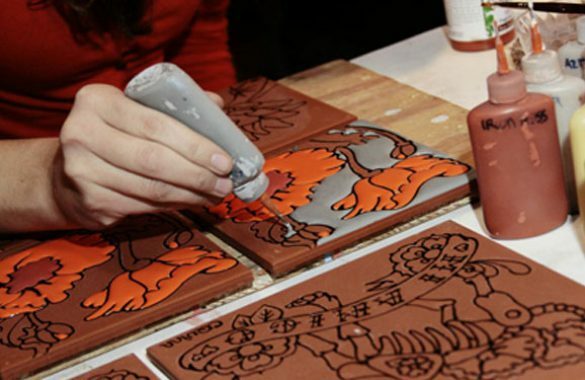 Once the wax outline has cured, the glazes are pooled in between the lines of wax onto the surface of the blank tile. While the wax acts as a resist to separate the colors, a certain degree of blending and shadowing can be implemented if the design and color palette permit. 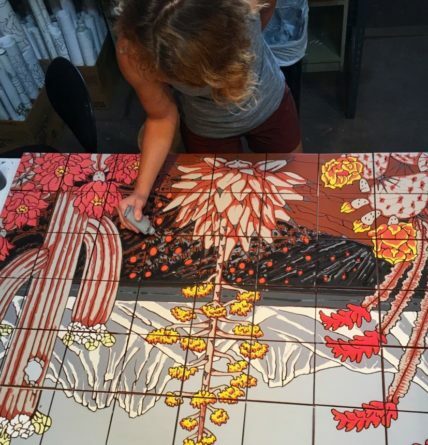 Once the glazes have been allowed to dry for at least 24 hours the mural is put into our kilns. We fire at over 1850 degrees, during this process the silica in the glazes fuse to the tile creating an impermeable glass surface. Once colors reach their maturity level the kiln is brought back down to room temperature for unloading. The firing process takes anywhere from 15-24 and often produces somewhat unpredictable and unique results. When the tiles are pulled from our kilns, they are numbered and labeled with an accompanying layout chart for easy installation. Use your own installer or let us handle the installation for you. 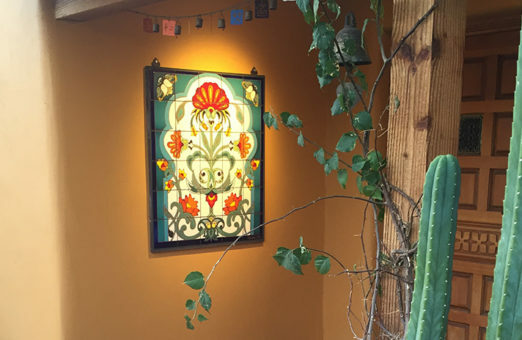 From the company’s beginning we have worked to perfect the Cuerda Seca technique of decorating tiles. We are one of the few companies in North America that still utilizes this technique. View our extensive portfolio of projects. We have crafted tiles for all kinds of projects from backsplashes to bar tops and outdoor landscapes.